What was Beethoven’s favourite fruit? BA-na-na-NA! If you’re familiar with Beethoven’s fifth symphony, we hope you’ll forgive this hammy outburst, but I couldn’t help it after discovering that Beethoven’s butch, aggressive, and slightly gloomy Symphony No. 5 was written in our key-of-the-week: C Minor. 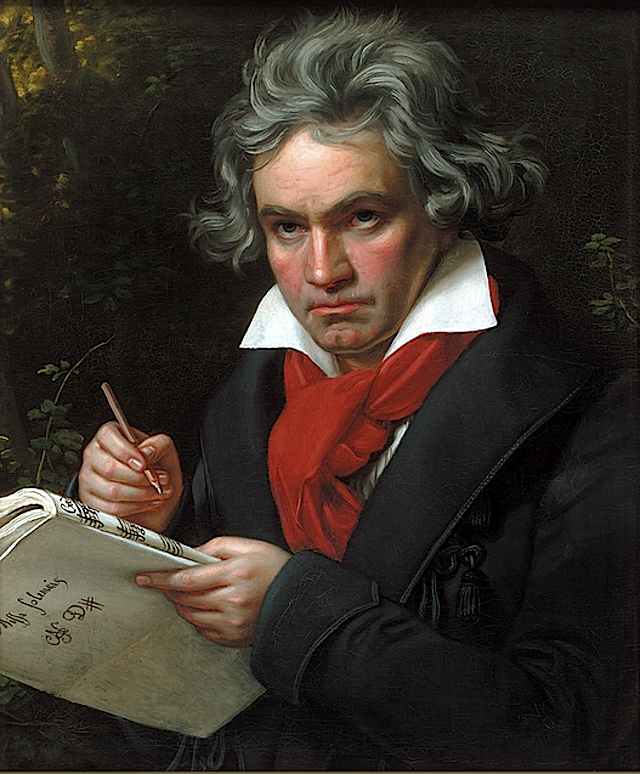 Beethoven chose the plucky little key of C Minor to compose his thundering fifth symphony. Ever since then composers have seen it as a key of power and triumph. C Minor’s propensity for a mix of sadness and toughness also makes it one of the most popular keys for minor blues songs. 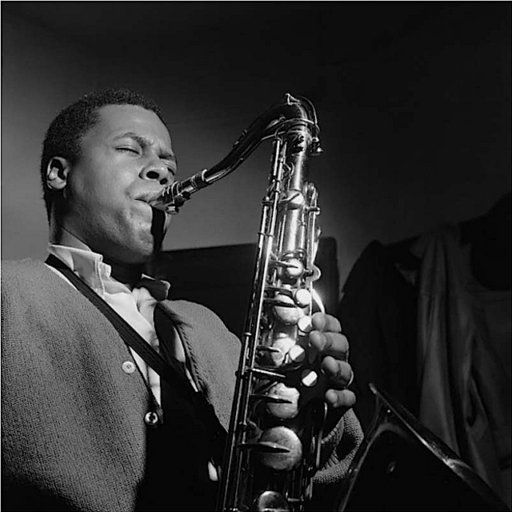 Saxophonist Wayne Shorter composed the jazz standard “Footprints” in C Minor. The key of C Minor is the relative minor of the key of Eb Major. Why? Because both have the same key signature— three flats (Bb, Ab, and Eb). Relative minors are really that simple. There’s more to learn about using relative minors, but that’ll come later on in your musical journey. When you’re ready to find out more about minor scales and how they work, read this. 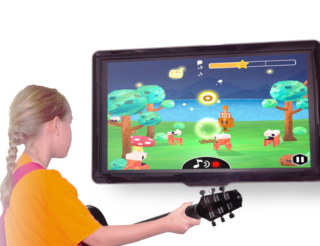 The key of C Minor and the guitar chords required of it aren’t easy but they’re not among this most difficult either, and hopefully you’ve downloaded our free Uberchord app (click for free download), which can tell you exactly how you can improve a little each time you play. You may have noticed that the basic C minor chord shape is exactly the same as the basic B minor chord shape, just moved up one fret. Part of the beautiful logic of music theory is that chords and keys are so easily transposable because they all follow the same patterns. You can use this knowledge, and your budding knowledge of music theory, to figure out new chord positions on your own. Want to play a G major chord? Move up the basic F major chord position two frets. Want your D major to sound a little higher in pitch? 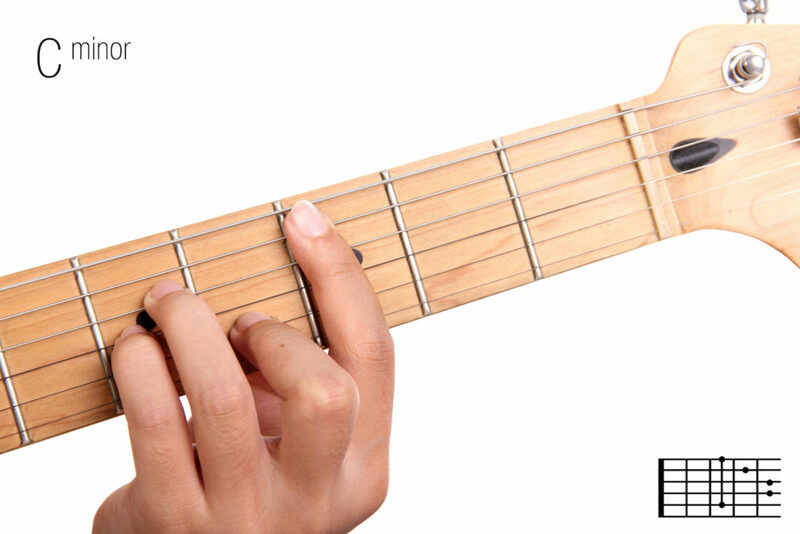 Play the basic B chord position at the fifth fret. Don’t know how to play an F# major? Just move the F major chord up one fret. If the chord shape has no open strings, it’s that simple. Just in case you’re a newcomer to this site, let’s take a quick look at the differences between a major scale and a minor scale. In other words, the second and the fifth positions in the scale are just half tones above their preceding notes, and all the other notes are whole tones above their previous notes. All natural minor keys follow this same pattern. In the key of C Minor the notes are C, D, Eb, F, G, Ab, and Bb. Below is the C Minor scale, with C at its root and another C, an octave higher, at its summit. 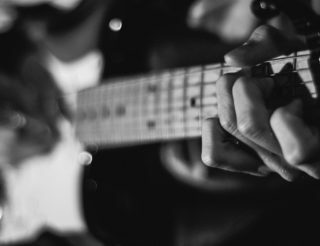 Playing scales on your guitar is a whole lot easier after you memorise your guitar’s fretboard notes. Here is a secret technique used by many pro guitarists around the world to learn the fretboard. This week we’d like to introduce a new musical concept in the realm of minor keys: harmonic minor keys. Skip it for now if you like, but it’s a simple concept and may help you to avoid confusion later. A harmonic minor key is like a natural minor (the kind of minor key we’ve been studying so far) except for one tiny difference: the seventh note is raised a half tone. In the key of C Minor, this would raise the Bb to a B. That’s it! The C Minor chord, which forms the root of the C Minor scale, is made up of the notes C, Eb, and G— the first, third, and fifth notes of the key of C Minor. On the guitar, using the C Minor chord shape shown in the diagram, these notes arrive in this order: Mute, C, G, C, Eb, G.
Why does this chord sound so different from the C Major chord? The only difference is one string; in the C Major chord the Eb becomes E (because that’s what C Major’s key signature dictates), and that’s all it takes to turn a cheerful C major chord into a melancholy C minor. The C, F, and G chords are minor because in the natural minor scale (unlike the major scale) the chords at the first fourth, and fifth positions of the key are minor. The D is a diminished chord because in the key of C Minor it sits in second place, and in minor keys second place chords are diminished. As in the major keys, the fifth chord— G minor in this case— can also be played as a Gminor7. Because it sits at the fifth position in the key of C Minor, it has the privilege of being the chord announcing the ending of the chord progression, if not the end of the song itself, and is generally followed by the root chord (C minor in this case). Adding the seventh note of the key of G Minor (F) to the G Minor chord, creating a Gminor7, makes the G minor chord sound like it’s moving the action ahead, pushing on to the root chord (C minor) that usually comes next in the chord progression. 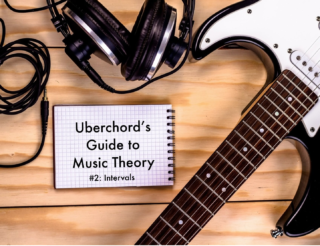 Check out our previous post on understanding and playing 7th chords and, don’t miss the series on learning and understanding music theory. You can develop your musical skills by taking a little time to play through the progressions below, getting your ear used to how these chords, depending on their order and context, create the sounds of beginning, rising, falling, and ending. Once again, here are the chords in the key of C Minor: C Minor, D diminished, Eb major, F minor, G minor, Ab major, and Bb major. But you can’t just mash all of these together (unless you’re Pere Ubu, in which case you don’t want to sound harmonious). Most of the time chords have to come in an order that’s pleasing to the ear, which is why we have chord progressions. Unless you live in Borneo, most of the songs you hear each day are composed of combinations of the chord progressions listed below. As you play them and get used to their sound, you’ll probably recognise them and be reminded of particular songs. C minor—F minor—G minor (or G minor 7)—C minor. Repeat this progression a few times. Do you hear how even in this short progression the music has a clear beginning, middle, and end, especially if you use G minor 7? Now practice playing through the following progressions, getting a feel for the musical messages they carry. If one progression sounds a little awkward and unmusical, just move on to the next. The key of C Minor is sometimes bluesy, sometimes sad, sometimes aggressive, and sometimes all three. It can be Bon Jovi’s “You Give Love A Bad Name”. Think of C Minor as that large, grumpy friend you always hope shows up to defend you when you’re cornered. Get to know it. You never know what it will get you through.